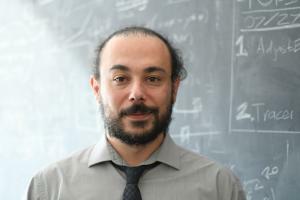 As the center celebrates its 20th anniversary, Petros Tzeferacos, research assistant professor in the Department of Astronomy and Astrophysics at the University of Chicago, will step into the role of director of the center. After serving as director for 15 years, Don Lamb, the Robert A. Millikan Distinguished Service Professor Emeritus in the Department of Astronomy and Astrophysics, will become associate director. The center was founded in 1998 under the directorship of Robert Rosner, the William E. Wrather Distinguished Service Professor in the Department of Astronomy and Astrophysics, as part of the Accelerated Strategic Computing Initiative (ASCI) - a research program funded by the U.S. Department of Energy (DOE) to jumpstart the development of high-performance physics codes in the national labs and academia. 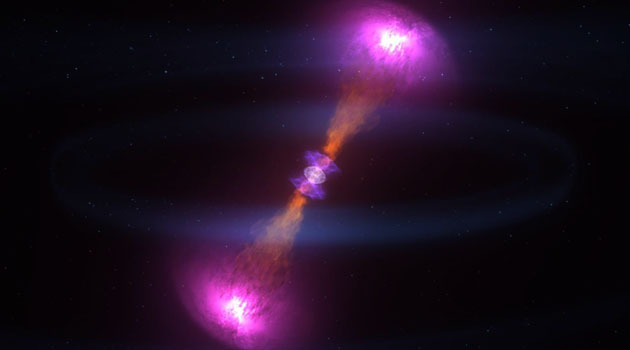 Under Rosner's and Lamb's leadership, researchers in the center developed FLASH to study astrophysical processes that involved nuclear reactions, including supernovae explosions, x-ray bursts, and more. "Twenty years later, FLASH is being used by more than 3,000 scientists around the world to do cutting-edge research in plasma physics and astrophysics," said Tzeferacos. In 2009, the DOE brought online the National Ignition Facility (NIF) at Lawrence Livermore National Laboratory, the most energetic laser in the world, and made it available to academic researchers. Lamb and the Flash Center were asked by the DOE to enable the code to simulate experiments at this facility, providing researchers with an open tool to design and tune their experiments before executing them with high-energy lasers at NIF and similar labs across the globe. According to Tzeferacos, the code's applications have continued to expand since then. "That's the beauty of FLASH," he said. "It's a versatile framework with which you can target a number of scientific applications, from fundamental plasma physics to proto-planetary disks, to galaxy formation simulations and cosmology, true to the diverse research in our department and aligned with the scientific goals of its faculty". Tzeferacos was trained as a theoretical astrophysicist and developed a strong interest in applied mathematics while at the University of Turin in Italy. He joined the Flash Center in 2012 with the dream of studying the origin of cosmic magnetic fields in the lab. For decades, researchers had theorized that a process called 'turbulent dynamo' is responsible for amplifying cosmic magnetic fields to the magnitudes observed today in the universe. 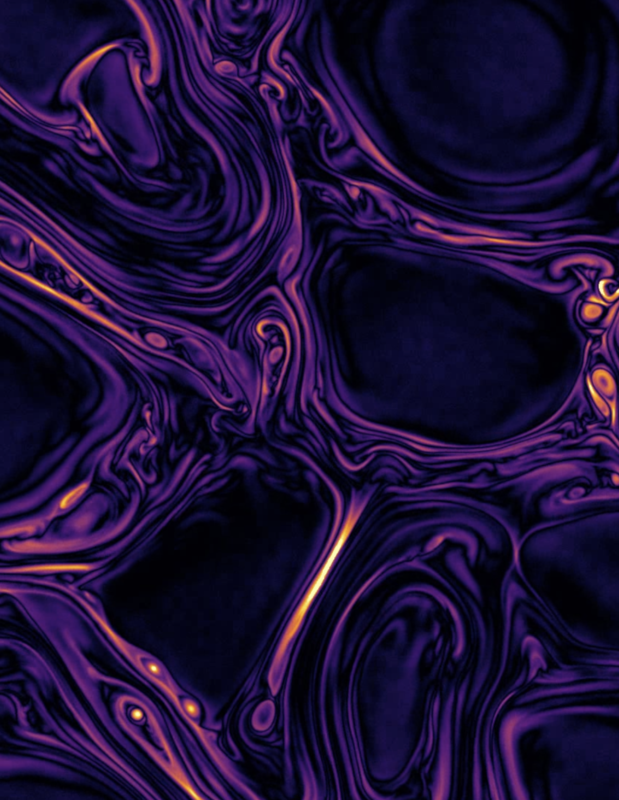 Recreating the necessary conditions for turbulent dynamo to work in a laboratory had been a long sought-after and challenging goal until the Flash Center and its collaborators from the University of Oxford began their concerted research effort. Several years of simulations with FLASH and experiments at the most powerful laser facilities in the world enabled Tzeferacos and his colleagues to demonstrate the turbulent dynamo mechanism in a controlled laboratory environment for the first time. Shortly after the paper was published, Lamb lauded the accomplishment: "People have dreamed of doing this experiment with lasers for a long time, but it really took the ingenuity of this team to make this happen." Under Tzeferacos' leadership, the center's scientists are expanding the physics and algorithms of FLASH to model plasma physics experiments with pulsed-power devices and to study fundamental astrophysical processes in magnetized plasmas. 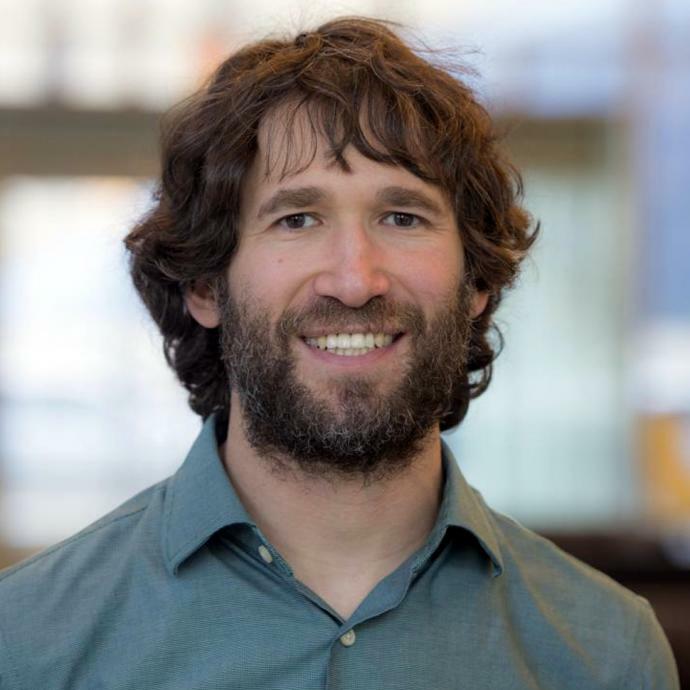 In addition, Flash Center researchers are restructuring the code to take advantage of the new supercomputing platforms that will usher in the exascale computing era. "High performance computing will always be a part of the center�s scope," Tzeferacos said. According to Tzeferacos, the training and mentoring of young researchers is central to the Flash Center�s mission. 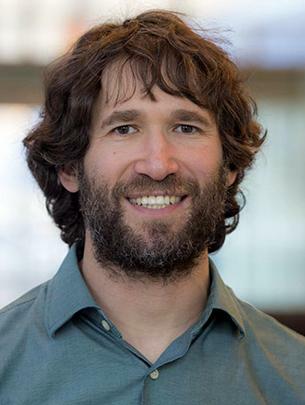 "The center has trained scores of postdocs, graduate students, and undergraduates to make sure that the future generation of scientists is well-versed in numerical modeling and code development," he said. Tzeferacos is excited about the future of the center. "The Flash Center and UChicago's Department of Astronomy and Astrophysics are a place where a unique synergy of plasma astrophysics and laboratory astrophysics can be realized," he said. "By modeling both astrophysical phenomena and the laboratory experiments that reveal their fundamental physical processes, we are creating a virtuous cycle that will lead to exciting discoveries and new understanding of the workings of the universe." 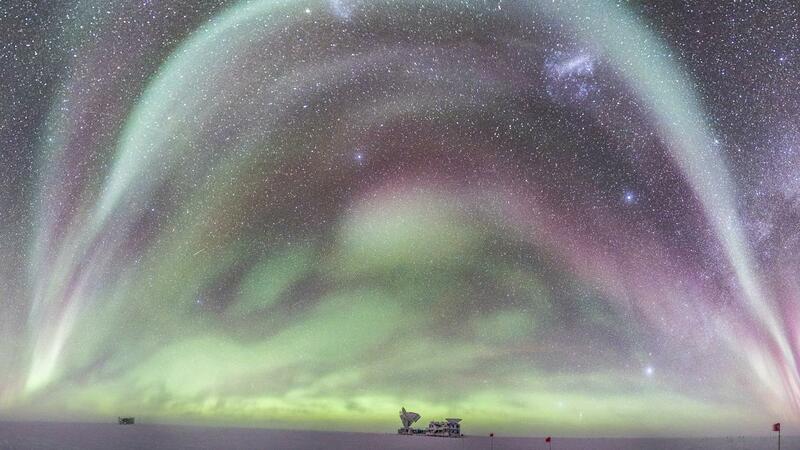 The aurora australis, or southern lights, appear over the South Pole telescope. This light, known as the cosmic microwave background, or CMB, has journeyed across the cosmos for 14 billion years -- from the moments immediately after the Big Bang until now. 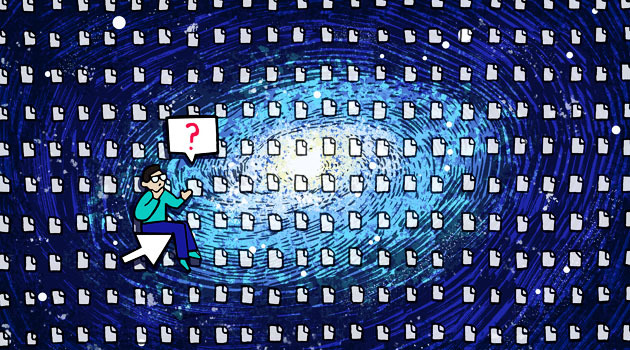 Because it is brightest in the microwave part of the spectrum, the CMB is impossible to see with our eyes and requires specialized telescopes. The South Pole Telescope, specially designed to measure the CMB, is using its third-generation camera to carry out a multi-year survey to observe the earliest instants of the universe. Since 2007, the SPT has shed light on the physics of black holes, discovered a galaxy cluster that is making stars at the highest rate ever seen, redefined our picture of when the first stars formed In the universe, provided new insights into dark energy and homed in on the masses of neutrinos. This latest upgrade improves its sensitivity by nearly an order of magnitude -- making it among the most sensitive CMB instruments ever built. "The NAS Exoplanet Strategy report outlines a vision for how to pursue some of the most compelling questions in modern astrophysics and planetary science, including the possible existence of life beyond our solar system." WASHINGTON - To answer significant questions about planetary systems, such as whether our solar system is a rare phenomenon or if life exists on planets other than Earth, NASA should lead a large direct imaging mission - an advanced space telescope - capable of studying Earth-like exoplanets orbiting stars similar to the sun, says a new congressionally mandated report by the National Academies of Sciences, Engineering, and Medicine. While the committee recognized that developing a direct imaging capability will require large financial investments and a long time scale to see results, the effort will foster the development of the scientific community and technological capacity to understand myriad worlds. To detect a system analogous to our own Earth-sun system, the report recommends using instruments that enable direct imaging of an exoplanet by blocking the light emitted by the parent stars - such as a coronagraph or starshade. In addition, ground-based astronomy - enabled by two U.S.-led telescopes - will also play a pivotal role in studying planet formation and potentially terrestrial worlds, the report says. The future Giant Magellan telescope (GMT) and proposed Thirty Meter Telescope (TMT) would allow profound advances in imaging and spectroscopy - absorption and emission of light - of entire planetary systems. They also could detect molecular oxygen in temperate terrestrial planets in transit around close and small stars, the report says. Although the radial velocity method - which measures the shift of the star as it orbits the center of mass of the planet system - will continue to provide essential mass and orbit information, its measurements are currently limited by variations in the surface of the star and imperfect calibration of the instruments, the report says. New instruments installed on large telescopes, substantial allocations of observing time, and collaboration between observers as well as theorists are some of the requirements for progress. To develop these methods and facilities for measuring the masses of temperate terrestrial planets orbiting sun-like stars, NASA and NSF should establish a strategic initiative in Extremely Precise Radial Velocities. In addition, NASA should create a mechanism to systematically collect data on exoplanet atmospheres early in the James Webb Space Telescope mission. 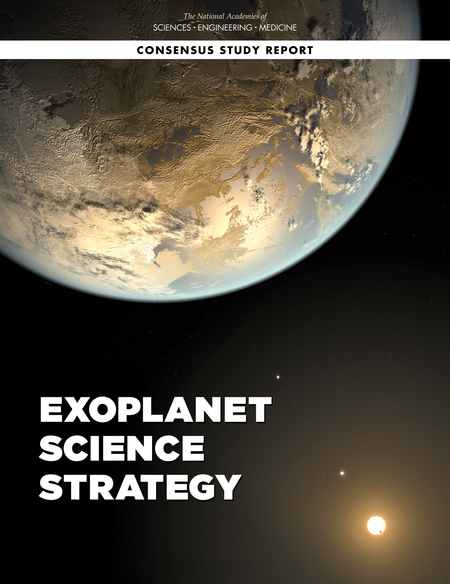 The committee also recommended building on the model of NASA's interdisciplinary collaboration initiative - Nexus for Exoplanet Science System - by supporting a cross-divisional research effort inviting proposals for interdisciplinary research. The study was sponsored by NASA. The National Academies of Sciences, Engineering, and Medicine are private, nonprofit institutions that provide independent, objective analysis and advice to the nation to solve complex problems and inform public policy decisions related to science, technology, and medicine. They operate under an 1863 congressional charter to the National Academy of Sciences, signed by President Lincoln. Prof. Eugene Parker was 31 years old in 1958 when he proposed a radical idea that changed the way we think about the sun and solar system. The space between planets was not empty, he said, but filled with a "solar wind": an expanding force of particles flowing off the sun out through the farthest reaches of the solar system. "The first reviewer on the paper said, 'Well I would suggest that Parker go to the library and read up on the subject before he tries to write a paper about it. Because this is utter nonsense,'" Parker, the S. Chandrasekhar Distinguished Service Professor Emeritus in Physics at the University of Chicago, recalled with a laugh. More than half a century later, in honor of his work, which opened a new field of astrophysics, Parker is the first living person to have a NASA spacecraft named after him. This month, he will travel to Cape Canaveral to watch the launch of the Parker Solar Probe, which will fly closer to the sun than any mission - all to investigate the mysterious workings of the sun and the solar wind that Parker proposed decades ago. "Eugene Parker had a vision of the solar system that was way ahead of its time," said Prof. Angela Olinto, dean of the physical sciences at UChicago. "His work basically laid the foundation of a whole new field, and he serves as an inspiration to all of us here at the University of Chicago who are working to expand the boundaries of human knowledge." "His work basically laid the foundation of a whole new field." 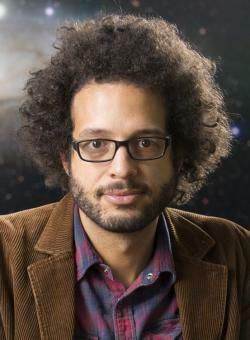 Parker was a young UChicago assistant professor when he began looking into an open question in astrophysics at the time: whether there were particles coming off the sun. It seemed unlikely, since Earth's atmosphere doesn't flow out into space, and presumably the same would be true for the sun. But scientists had noticed an odd phenomenon: The tails of comets, no matter which direction they traveled, always pointed away from the sun - almost as though something was blowing them away. Parker sat down and began to do the math. He calculated that if the sun's corona was a million degrees, there had to be a flow of particles expanding away from its surface, eventually becoming extremely fast - faster than the speed of sound. The idea was unheard of at the time, but that's what the physics was telling Parker. "And that's the end of the story, except it isn't, because people immediately said, 'I don't believe it,'" Parker said. 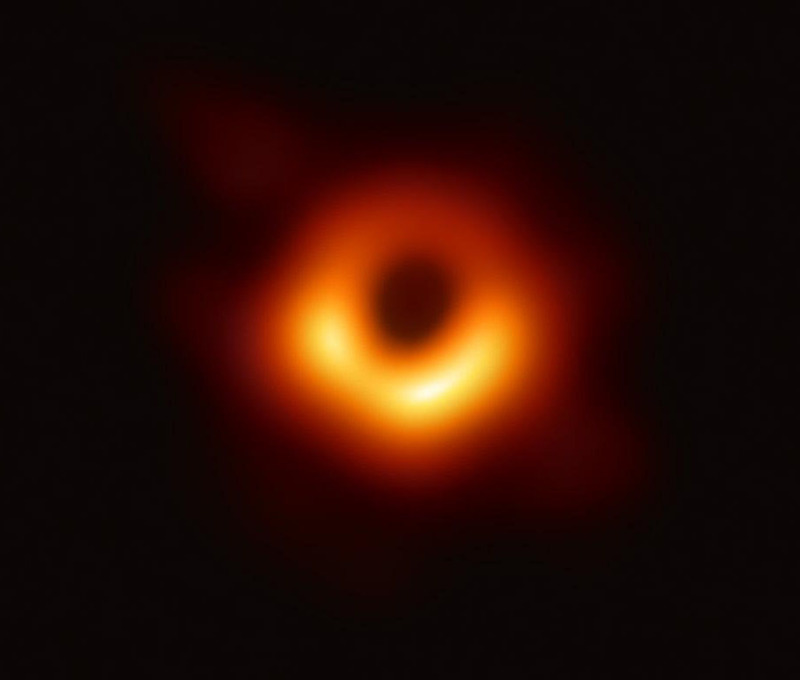 "You must understand how unbelievable this sounded, when he proposed it," said Fausto Cattaneo, UChicago professor of astronomy and astrophysics. "That this wind not only exists, but is traveling at supersonic speed. It is extraordinarily difficult to accelerate anything to supersonic speeds in the laboratory, and there is no means of propulsion." Luckily, the editor of the journal at the time was eminent astrophysicist Subrahmanyan Chandrasekhar, Parker's colleague at the University of Chicago. Chandrasekhar didn't like the idea either, but the future Nobel laureate couldn't find anything wrong with the math, so he overruled the reviewers and published the paper. And there it sat until 1962, when a NASA spacecraft to Venus called Mariner II took readings on its journey. The results were unambiguous. "There was the solar wind, blowing 24/7," Parker said. "You must understand how unbelievable this sounded, when he proposed it." "The solar wind magnetically blankets the solar system, protecting life on Earth from even higher-energy particles coming from elsewhere in the galaxy," Olinto said. "But it also affects the sophisticated satellite communications we have today. So understanding the precise structure and dynamics and evolution of the solar wind is crucial for civilization as a whole." Thus scientists have been eager for a mission to the sun since space travel first became possible. But the extreme temperatures meant they needed to wait until the development of technology that could shield the spacecraft from the intense heat and radiation of the sun. 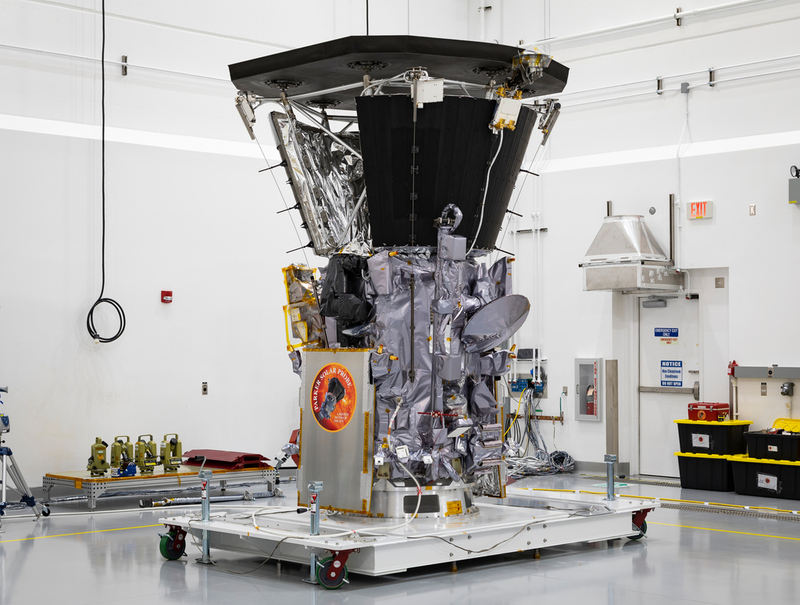 The Parker Solar Probe's heat shield, made of just under five inches of a cutting-edge carbon composite, will keep the craft's delicate instruments at a gentle 85 degrees Fahrenheit even as the corona rages at 3 million degrees Fahrenheit outside. It will need it, because when the spacecraft launches in August, it will begin a seven-year journey to the blisteringly hot corona, visible as the halo around the sun during an eclipse. It will be by far the closest we've ever come to a star, and scientists are itching to get a look at the physics close-up. Two of the most pressing questions for this mission, which date back to Parker's earliest work: Why is the corona so much hotter than the surface of the sun? How does the solar wind accelerate away from the sun? "You're exploring unknown territory, and you can be darn sure there are some surprises waiting for us there," he said. "Things are never quite what you thought they were." "In our field, Gene Parker is like God," said Cattaneo. "Most people would have one good idea and rest on that. This guy had God knows how many. There are not many people like him." In announcing the new name of the mission at the University last year, NASA said that given Parker's accomplishments within the field and how closely aligned this mission is with his research, the decision was made to honor him prior to launch in order to draw attention to his important contributions to heliophysics and space science. "We're very proud to be able to carry Gene's name with us on this amazing voyage of discovery," said Nicola Fox, Parker Solar Probe project scientist, of the Johns Hopkins University Applied Physics Laboratory. "We're very proud to be able to carry Gene's name with us on this amazing voyage of discovery." Asked for advice for those early in their careers, Parker said, "I have never made a significant proposal, but what there was a crowd who said 'Ain't so, can't possibly be.' If you do something new or innovative, expect trouble. But think critically about it because if you're wrong, you want to be the first one to know that." "I've been delighted to be alive in this period of time because of all the wonderful things that have been happening," he said. "I'm just happy to be born at the right time." University of Chicago professor emeritus Eugene Parker at his home in Chicago's Hyde Park neighborhood on July 27. 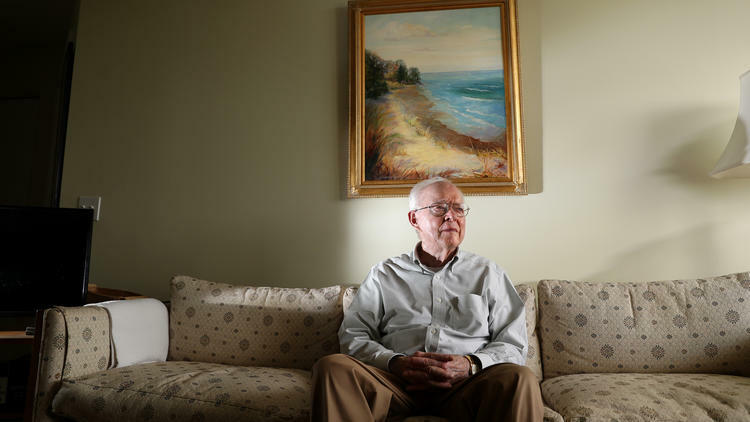 From his windows up high in a Hyde Park retirement home, Eugene Parker can see, fittingly, the great mass of the Museum of Science and Industry and the distinctive rooftops of the University of Chicago. He also can watch the sun as it rises over the lake and sets in the west, which is even more fitting because as much as any human alive, Parker is responsible for our understanding of the star that keeps us alive. 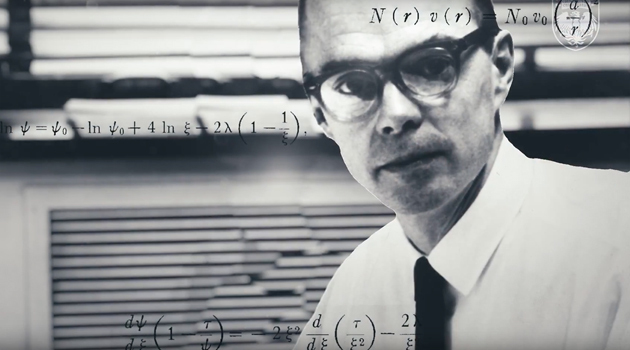 As a young U. of C. scientist in the mid-1950s, he performed some calculations and realized there must be a "solar wind" - his term - propelling material outward from the sun and affecting the entire solar system. The astronomical community scoffed at this upstart insight, and then, within a few years, early space missions proved it true. 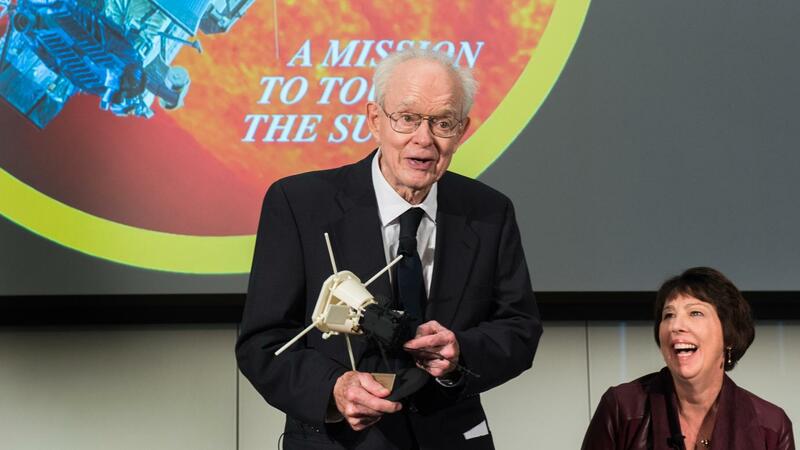 As a 91-year-old emeritus professor in 2018, he will be at Cape Canaveral next month to watch NASA launch its Parker Solar Probe, the agency's first mission named for a living person. 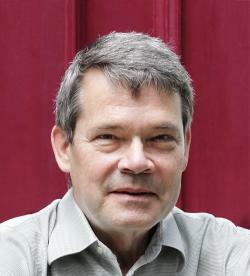 NASA broke protocol, said Thomas Zurbuchen, head of the agency's Science Mission Directorate, because of "the unique impact Parker has had in the entire portfolio. We have 107 missions ongoing right now," either in operation or in planning. "Thirty-five of them are directly related to Parker's work." 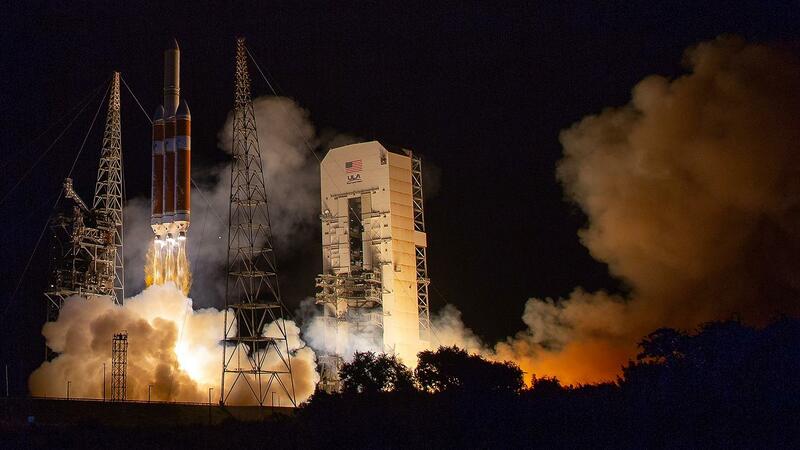 "It's wonderful," said Nicola Fox, project scientist for the solar probe, which will bring science far closer to the sun than it's ever been. "He's going to stand and he's going to watch his legacy mission leave the planet and start its journey." "He is the father of the mission. It was his paper. It was his science. It was his discovery that led to science's knowing the (sun's) corona was such an interesting place to go visit, and it's taken 60 years to be able to do this daring plunge into the sun's atmosphere." Parker, though, isn't much for the fanfare. In the home he and his wife share, an end table carried about the only visible sign of his fame, a stack of coaster-sized Parker Solar Probe stickers. "A Mission to Touch the Sun," they say, the words atop an image of a spacecraft against a fiery orange inferno. "Take one," Parker encouraged visitors late last week. But to be the first living honoree, following missions named for the likes of Kepler, Galileo, Hubble? "I tend to shrug my shoulders at that," he said. "The fact that I'm living seems neither here nor there because I have not contributed in any way to the building of that spacecraft." He is more focused on what the probe will learn on its seven-year mission as it loops repeatedly around Venus to propel it through the sun's atmosphere. Among the key questions being explored: How is the sun, contrary to any phenomenon on Earth, so many magnitudes hotter in its corona, the surrounding area visible in an eclipse (1.7 million degrees Fahrenheit and up), than at its surface (about 10,000 degrees), and how does it expel matter at supersonic speeds? The sun, Parker said a couple of times, is a "very ordinary star." What we learn about it will tell us, in all likelihood, about much of the universe, although the craft's closest approach, at about 4 million miles and 2,500 degrees, won't come until 2024. "Investigating the mechanisms of the heating are what I get most excited about," he said. That sounds a lot like the Gene Parker she has come to know, said Fox, who will take part with the professor in a press event at the university's Gleacher Center downtown on Tuesday to draw attention to the scientist and the upcoming mission, now targeted to launch in the early morning hours of Aug. 11. "It's like meeting Brad Pitt or somebody," she said. "He discovered the solar wind. He's kind of the father of heliophysics. ... He's this mythical person that did all this unbelievable science, and then you meet him, and he's just a lovely man." In October Parker visited the Applied Physics Laboratory at Johns Hopkins University, where Fox is chief scientist for heliophysics and where the Parker Solar Probe was being loaded with an array of instruments that may solve some of the sun's enduring mysteries. Again, she said, he was humble in the face of the engineering. "I took him to meet the spacecraft that bears his name," she said. Photographs of that event show Parker standing in the white suit required in a "clean room,' peering into the innards of the craft, and standing beside the exterior clad in the almost 5 inches of carbon that will keep it from incinerating as it flies past the sun. Parker, she recalled, kept saying, "'You guys are the really clever ones. I just solved some equations. ... I just wrote a paper.'" "I was like, 'Yeah, it's a pretty good paper, Gene.'" "Dynamics of the Interplanetary Gas and Magnetic Fields" started on page 664 of volume 128 of the Astrophysical Journal, published in November, 1958. "We consider the dynamical consequences of Biermann's suggestion that gas is often streaming outward in all directions from the sun with velocities on the order of 500-1500 km/sec," begins the paper's abstract. They don't sound like the first words in a revolution, but those, and the words and calculations that followed, proved profound. "People expected the space between earth and the sun to be basically a void," said Angela Olinto, a U. of C. astronomer and the university's dean of physical sciences. "Solar wind sort of connects up to the sun and all the other planets of the sun. Our local neighborhood is really quite different than the one we thought of in the 1950s." 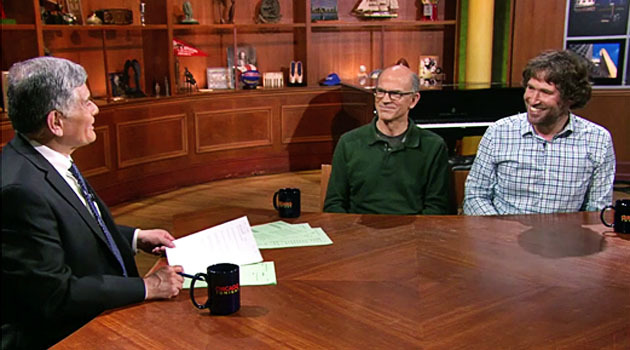 "One of the reasons why Parker is so revered is because he was comfortable with a topic that most found arcane, difficult," said Geza Gyuk, director of astronomy at the Adler Planetarium. The son of an engineer and grandson of a physicist, Parker, who grew up in the Buffalo and Detroit areas, was able to see the sun differently than those who had studied it before, he said, because he didn't approach it with a traditional astronomy background. Trained at Michigan State and CalTech, he was a physics guy so he tended to think in terms of systems, he said, where astronomers thought more about discrete objects. A key to his work was the German scientist Ludwig Biermann's theory about why comet tails always point away from the sun, no matter the comet's direction of travel. Biermann suggested the sun must be emitting a stream of material, dubbed "solar corpuscular radiation," but did not explain the reason for the existence of such material. And the British scientist Sydney Chapman had shown that the sun's corona extended beyond Earth, Parker said, but Chapman thought of the corona as a static thing. When you add in Biermann's idea of motion, "you get an equation with one more term in it," Parker said. "And when you solve that, that makes all the difference in the world." He looked at it as a problem similar to hydrodynamics - the flow of water - and found "there�s only one solution that fits," he said. "That's the supersonic solar winds starting slow and dense and accelerating as you go out" away from the sun. "You put that into the mathematics, and the mathematics says, 'Well, there you are,' " he said. Here is NASA's layperson's explanation of solar wind, from the detailed website for the Parker Solar Probe: "In the 1950s, Parker proposed a number of concepts about how stars - including our Sun - give off energy. He called this cascade of energy the solar wind, and he described an entire complex system of plasmas, magnetic fields, and energetic particles that make up this phenomenon." But eminent astronomers in 1958 disagreed. Two of them were given the paper for peer review, and both rejected it. Their message was essentially that Parker couldn't be right because his work disagreed with conventional thinking. "We recommend that the author go to the library and read up on the subject before he attempts to write papers about it," Parker recalled one of the scientist's critiques saying. But there was no "real criticism," just a declaration and so Parker persisted: "I've had people say, 'Well, weren't you worried that if everybody disagreed, you might be wrong?' My reply is, 'I'm working with Newton. Newton got it right.'" The journal's editor Subrahmanyan Chandrasekhar, a Chicago astronomer and future Nobel laureate in physics, examined the paper and told Parker he could find nothing wrong with it and he would publish it. There was very little reaction, Parker said, but the 1962 Mariner 2 robotic voyage to Venus confirmed the solar wind's existence. Parker continued on the faculty full time through 1995, had a major hand in guiding the university's astronomical research, colleagues said, and published important papers regularly on topics including the solar magnetic field and a theory on how the sun's corona is heated. He won honors including the National Medal of Science, in 1989, and the Kyoto Prize for Lifetime Achievements in Basic Science, in 2003, but not the Nobel. His theory on the lack of recognition from Sweden? 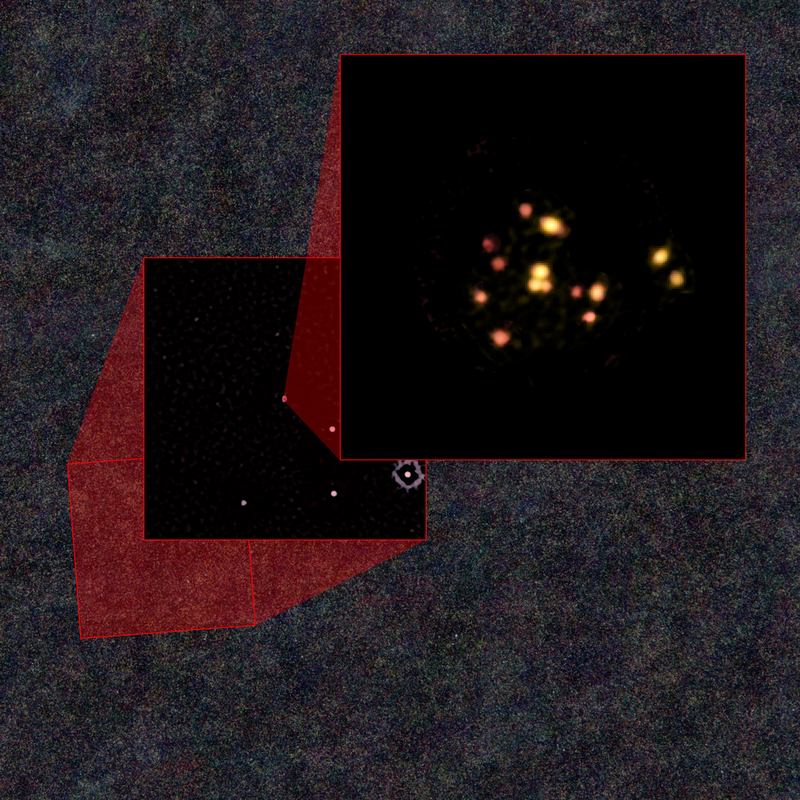 "It wasn't exotic," he said of his solar wind work. "In a way I sort of feel, that just shows how much smarter you have to be to see it - because none of you guys thought of it. But anyway, I can't complain. I've gotten by all right." 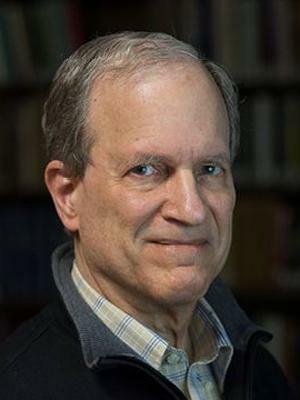 Gyuk, of the Adler, thinks there may be a Nobel nomination in the offing "if his suggestions on heating mechanisms in the solar wind come to boot" as data comes in from the Parker Solar Probe. But NASA naming the mission after him last year, no matter how much Parker might demur, represents a kind of crowning honor. It becomes doubly true when you consider how the mission will end: with the craft losing propellant and thus its ability to protect itself from the sun, vaporizing in the heat and joining the solar wind. This is an artist's impression of the Jupiter-size extrasolar planet, HD 189733b, being eclipsed by its parent star. Astronomers using the Hubble Space Telescope have measured carbon dioxide and carbon monoxide in the planet's atmosphere. The planet is a "hot Jupiter," which is so close to its star that it completes an orbit in only 2.2 days. The planet is too hot for life as we know it. But under the right conditions, on a more Earth-like world, carbon dioxide can indicate the presence of extraterrestrial life. This observation demonstrates that chemical biotracers can be detected by space telescope observations. In April 2018, NASA launched the Transiting Exoplanet Survey Satellite (TESS). Its main goal is to locate Earth-sized planets and larger "super-Earths" orbiting nearby stars for further study. One of the most powerful tools that will examine the atmospheres of some planets that TESS discovers will be NASA's James Webb Space Telescope. Since observing small exoplanets with thin atmospheres like Earth will be challenging for Webb, astronomers will target easier, gas giant exoplanets first. Some of Webb's first observations of gas giant exoplanets will be conducted through the Director's Discretionary Early Release Science program. The transiting exoplanet project team at Webb's science operations center is planning to conduct three different types of observations that will provide both new scientific knowledge and a better understanding of the performance of Webb's science instruments. "We have two main goals. The first is to get transiting exoplanet datasets from Webb to the astronomical community as soon as possible. The second is to do some great science so that astronomers and the public can see how powerful this observatory is," said Jacob Bean of the University of Chicago, a co-principal investigator on the transiting exoplanet project. "Our team's goal is to provide critical knowledge and insights to the astronomical community that will help to catalyze exoplanet research and make the best use of Webb in the limited time we have available," added Natalie Batalha of NASA Ames Research Center, the project's principal investigator. When a planet crosses in front of, or transits, its host star, the star's light is filtered through the planet's atmosphere. Molecules within the atmosphere absorb certain wavelengths, or colors, of light. By splitting the star's light into a rainbow spectrum, astronomers can detect those sections of missing light and determine what molecules are in the planet's atmosphere. Planets that orbit very close to their stars tend to become tidally locked. One side of the planet permanently faces the star while the other side faces away, just as one side of the Moon always faces the Earth. When the planet is in front of the star, we see its cooler backside. But as it orbits the star, more and more of the hot day-side comes into view. By observing an entire orbit, astronomers can observe those variations (called a phase curve) and use the data to map the planet's temperature, clouds, and chemistry as a function of longitude. The team will observe a phase curve of the "hot Jupiter" known as WASP-43b, which orbits its star in less than 20 hours. By looking at different wavelengths of light, they can sample the atmosphere to different depths and obtain a more complete picture of its structure. "We have already seen dramatic and unexpected variations for this planet with Hubble and Spitzer. With Webb we will reveal these variations in significantly greater detail to understand the physical processes that are responsible," said Bean. The greatest challenge when observing an exoplanet is that the star's light is much brighter, swamping the faint light of the planet. To get around this problem, one method is to observe a transiting planet when it disappears behind the star, not when it crosses in front of the star. By comparing the two measurements, one taken when both star and planet are visible, and the other when only the star is in view, astronomers can calculate how much light is coming from the planet alone. This technique works best for very hot planets that glow brightly in infrared light. The team plans to study WASP-18b, a planet that is baked to a temperature of almost 4,800 degrees Fahrenheit (2,900 K). Among other questions, they hope to determine whether the planet's stratosphere exists due to the presence of titanium oxide, vanadium oxide, or some other molecule. "TESS should locate more than a dozen planets orbiting in the habitable zones of red dwarfs, a few of which might actually be habitable. 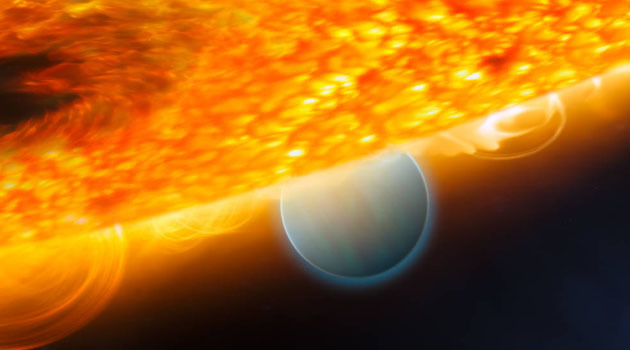 We want to learn whether those planets have atmospheres and Webb will be the one to tell us," said Kevin Stevenson of the Space Telescope Science Institute, a co-principal investigator on the project. "The results will go a long way towards answering the question of whether conditions favorable to life are common in our galaxy." The Norman Maclean Faculty Award recognizes emeritus or senior faculty for extraordinary contributions to teaching and to the student experience of life within the University community. This year's recipient is Doyal "Al" Harper, professor in the Department of Astronomy and Astrophysics and the College. Prof. Doyal "Al" Harper has mentored and supported countless students in the Department of Astronomy and Astrophysics and in the College and has been an enthusiastic research adviser to both undergraduate and graduate students at UChicago. Students have benefited in particular from the wide range of research opportunities he provides--they are able to do hands-on work in the laboratory, design and build instrumentation, carry out observational programs at ground-based and airborne observatories, and develop and employ computational tools for data analysis. Harper's research addresses problems in the formation of galaxies, stars and planetary systems; the physics of the interstellar medium; and the properties of interstellar dust. His experimental research group constructs and operates infrared instrumentation and pioneered airborne infrared astronomy and astrophysical observations from the South Pole. "Angela brings depth of University experience and scholarly expertise to this leadership role, making her an excellent choice as dean," wrote President Robert J. Zimmer and Provost Daniel Diermeier in announcing her appointment. Olinto's research includes important contributions to the physics of quark stars, inflationary theory and cosmic magnetic fields. 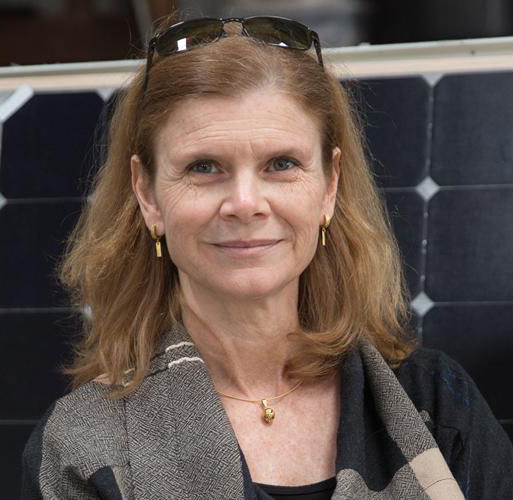 She currently leads NASA sub-orbital and space missions to discover the origins of high-energy cosmic rays and neutrinos. This includes a NASA-funded balloon mission planned for 2022 that will use an ultra-sensitive telescope to detect cosmic rays and neutrinos coming from deep space. "I am thrilled and humbled to be appointed to lead this historic and dynamic division, home to visionary scholars who constantly redefine the boundaries of the physical and mathematical sciences. I look forward to collaborating with faculty, students and staff to advance the important work of the division," Olinto said. 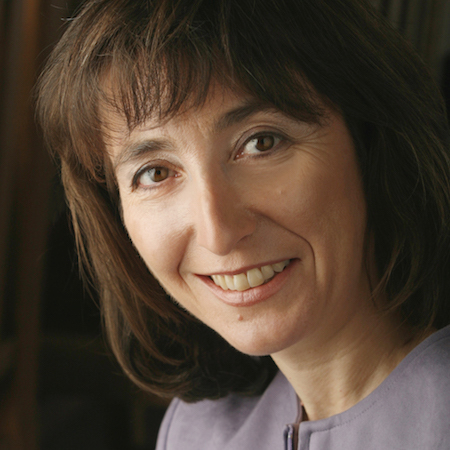 Olinto's awards and honors include the Chaire d'Excellence Award of the French Agence Nationale de la Recherche in 2006, the University's Llewellyn John and Harriet Manchester Quantrell Award for Excellence in Undergraduate Teaching in 2011, and the Faculty Award for Excellence in Graduate Teaching and Mentoring in 2015. Olinto received her undergraduate degree from Pontificia Universidade Catolica in Rio de Janeiro, Brazil and her doctoral degree from the Massachusetts Institute of Technology. 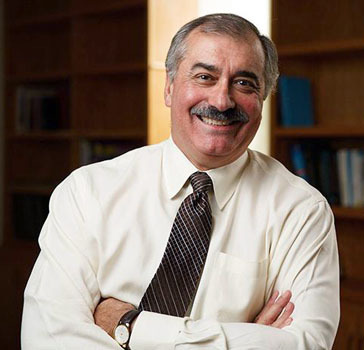 Olinto succeeds Edward "Rocky" Kolb, the Arthur Holly Compton Distinguished Service Professor of Astronomy & Astrophysics, whose work over the last five years enhanced the division's historic strengths as a leading center of scientific discovery. Kolb will return to his full-time work on the faculty next month. In a new discovery reported in the journal Nature, scientists working with NASA's Magnetospheric Multiscale spacecraft -- MMS -- have uncovered a new type of magnetic event in our near-Earth environment by using an innovative technique to squeeze extra information out of the data. Astronomy & Astrophysics postdoctoral scholar Colby Haggerty was part of the team of scientists who made this exciting discovery. "If we really were able to show that there's life on a planet outside of our own solar system, that will be one of the discoveries that will not only be exciting for astronomers but will change human kind's perspective on our place in the universe," Freedman said. Peering deep into space - an astounding 90 percent of the way across the observable universe - astronomers have witnessed the beginnings of a gargantuan cosmic pileup, the impending collision of 14 young, starbursting galaxies. This ancient megamerger is destined to evolve into one of the most massive structures in the known universe: a cluster of galaxies, gravitationally bound by dark matter and swimming in a sea of hot, ionized gas.